We all have a role in combatting poverty. Although everyone experiences bumps along the way, too often there are real barriers which present obstacles to success. Just as some public policies create conditions for success, other policies have created obstacles to opportunity for some, or allowed those obstacles to persist. Together we can – and must – work to strengthen programs which help move households to economic self-sufficiency, while making changes to policies which trap families in the poverty cycle. 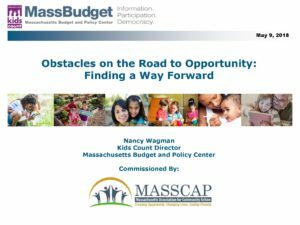 WCAC was proud to host a community forum exploring strategies & solutions to addressing poverty here in Central Massachusetts on October 5, 2018, and invite you to remain engaged with us to address the struggles facing those in need.